When a home looks its very best it’s more likely to appeal to a wider variety of potential buyers and is more likely to sell for a higher price. The goal of home staging is to get a residence looking as good as it can so that it will sell quickly and for a high price. 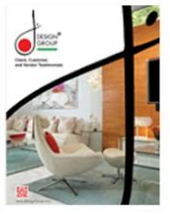 If you want the best decoration and design for selling houses, your best choice is J Design Group, a company with + 25 years experience in this market. We certainly know what the people like to buy. DO fix up the outside of the house. First impressions are important so make sure the house looks well taken care of. Make sure the lawn looks great, there’s no peeling paint, the garbage cans are hidden away, and perhaps add a decorative wreath or some plants to the front door and porch area. DON’T leave anything broken that can easily be fixed. A broken cupboard door, a loose doorknob, a leaky faucet – these are all things that are very easy to fix yet look very shabby to potential buyers. Everything should look like it’s in tiptop shape. Small things like this will stand out to people who come looking. DO repaint in a neutral color. Even though it seems like a pain to paint a house right before you move, it will make everything look cleaner and fresher. It’s very important to paint a neutral color. Even if it isn’t your style and it seems boring, you want to appeal to the highest number of people possible. Neutrals are safe. DON’T leave personal items around the house. Put away family photographs, religious and cultural items and any trophies, awards or certificates. It’s important to depersonalize the space because potential buyers should be able to imagine themselves living there and that can be difficult when there are pictures of another family in the room. DO de-clutter and minimize the amount of furniture. Create conversation areas with the seating and put away excess pieces of furniture. The fewer items that are in the room the larger it will appear. Keep the accessories to a minimum and clear off bookshelves and tables. DO clean the windows and open the curtains wide. It’s important that the home look light and bright. DON’T try to show a dirty house. Cleanliness implies that the home is well taken care of. Get rid of dirt, dust and fingerprints. Scrub the tile in the kitchen and bathroom. Replace every light bulb in the home and remember to dust all the lampshades. DON’T think of the house as yours anymore. This is definitely the hardest part, but when you’re selling your home you need to distance yourself from it. Remove your personal items and anything else that indicates you are the owner. Make it as impersonal as possible. It will make it easier for all those possible buyers to imagine their own things in there. Make it feel like it could be their home and give them a reason to want to buy it.